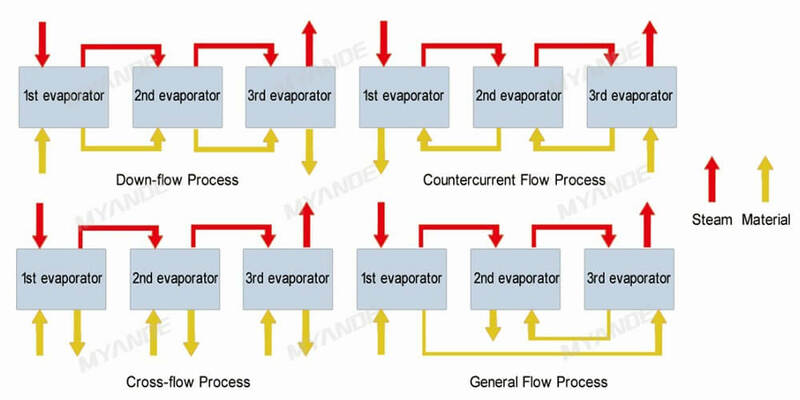 Multi-effect evaporation is a widely-used system that utilizes secondary steam many times which is a traditional and reliable evaporation process. 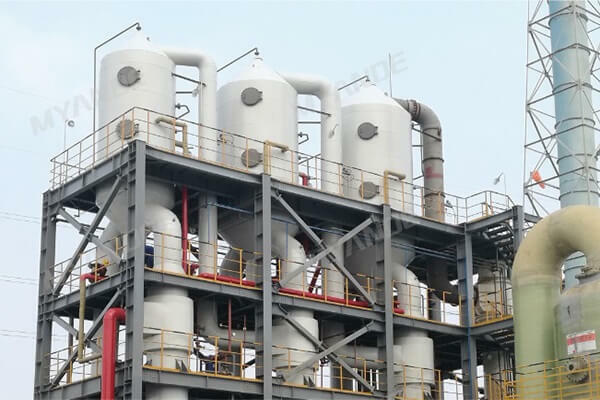 It can be combined with different vapor-liquid separators and crystallizers to achieve concentration and crystallization of different materials to meet various processing requirements. - Utilize the secondary steam reasonably, to save more energy and be more economical. 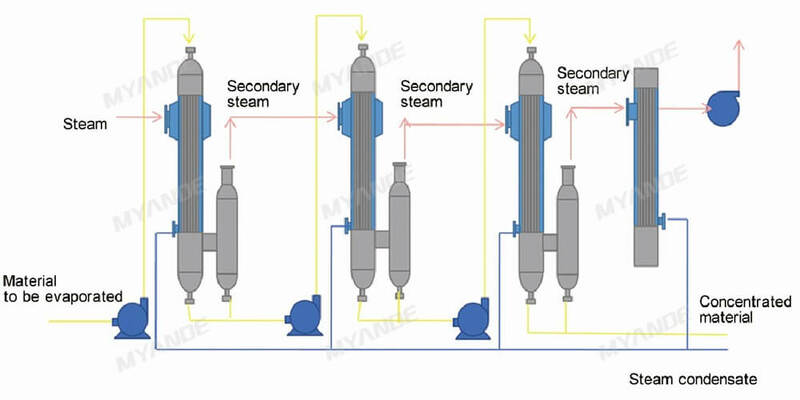 - Multiple process designs, suitable for different materials. 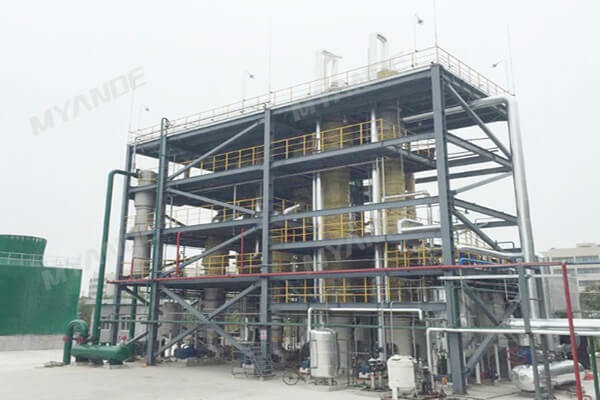 - Less investment compared with MVR evaporation system.